Please note that the lecture this month takes place on the fourth Thursday of the month due to the Easter break. 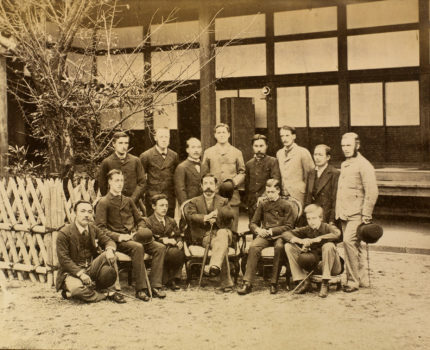 Queen Victoria came into indirect contact with Japan in 1868, but in the following year her second son spent several weeks in Japan and in the early 1870s several members of the Japanese imperial family visited Britain, some staying for long periods. 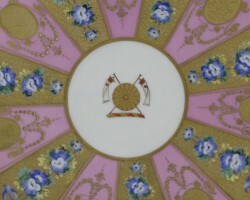 Subsequently there were many other visits, including one by the future George V, who got tattooed in Japan. 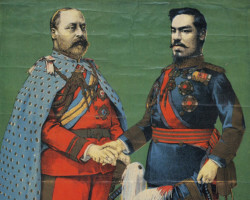 There was imbalance in the royal relationships: no Britons stayed in Japan as long as Japanese spent in Britain, and when it came to conferring honours, Britain was decidedly sniffy about conferring them on Japanese. In this lecture, which presents material from a book I co-authored with Anthony Best and the late Sir Hugh Cortazzi, some photographs of the future King George V never seen before will be shown and questions will be asked about the significance of the royal relationship. Peter Kornicki, the son of a Polish fighter pilot, studied Japanese and Korean at Lincoln College, Oxford, and subsequently took a doctorate in Japanese at Oxford. He taught at the University of Tasmania, Kyoto University and the University of Cambridge, where he retired as Professor of Japanese in 2014. He is the author of numerous books and articles, including The Book in Japan (1998), Languages, scripts, and Chinese texts in East Asia (2018), and British Royal and Japanese Imperial relations, 1868-2018: 150 years of association, engagement and celebration, with Hugh Cortazzi and Antony Best (2019). Admission free. All welcome. Booking is essential. Use our booking form, call us on 01603 597507 or email us. The Third Thursday Lecture series is funded by the Gatsby Charitable Foundation, the Great Britain Sasakawa Foundation and Yakult UK. Fujita Tsuguharu: a classical painter?